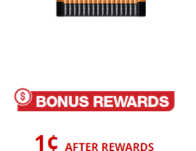 FREE Duracell Batteries with Office Depot/Max Rewards! Get 32 FREE! Office Depot/Max: 500 Sheets Ream of Paper for a Penny! FREE Duracell Batteries with Office Depot/Max FREE! Get 32 FREE!